America has an ongoing housing crisis because house prices fell sharply. Israel has a housing crisis because apartment prices have risen sharply. It seems you just can’t win. Despite the global economic crisis in 2007-9, housing prices in Israel have continued to soar. According to the Central Bureau of Statistics, average apartment prices (2.5 – 3 rooms) in Tel Aviv doubled between 2007 and 2010, rose by 60 percent in Jerusalem, and remained stable in Haifa. Rents have risen steeply, too. The rent for a small 1.5-2 room apartment in Tel Aviv rose from NIS 2,500 (about $700) in 2007 to over NIS 3,000 ($830) in 2010. Average family income in Israel is $2,429 a month, or $29,148 a year. The price of the least-expensive tiny two-room apartment in central Tel Aviv is more than ten times the average annual family income. In contrast, at the height of America’s housing bubble, house prices averaged no more than four times annual family income. 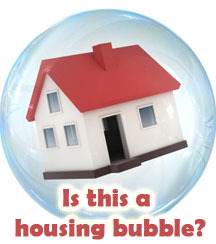 Is this a housing bubble? In The Report (May 24), I argued it is not. It is supply and demand. Each year some 45,000 new households are formed, but only about 30,000 flats are built. Result: A cumulative housing shortage and rising prices. Last month, the web newspaper Ynet reported results of a survey of 500 apartment owners. Three-fourths of Israelis own apartments, most of them mortgaged, while a fifth rent. (The rest are in public housing). But nearly half the mortgagees report having trouble making their mortgage payments. One in four spends a third or more of their monthly income on mortgage payments (25 percent is regarded as optimal). Some 90 percent of the respondents think the government is not doing enough to secure proper housing for its citizens. And they are right. Government spending on housing has fallen from 4.5 percent of total spending in 1999 to only about 1.5 percent today. Meanwhile, Bank of Israel Governor Stanley Fischer says that “there are enough crises in the world that started in the housing market, and we will not let that happen in Israel.”To cool prices, the Bank of Israel is said to be considering limiting mortgage financing to only half of a property’s value, copying a similar measure in Hong Kong, compared with 60 or 70 percent today. But in the short run this will make housing even less affordable. Why not tell people to live far outside Tel Aviv, where flats are cheaper? Alas, many of the jobs, schools and cultural events younger people find desirable are in Tel Aviv. Technion Prof. Shamai Asif, until recently Director of Planning for the Ministry of the Interior, says: “The solution for stabilizing real estate prices is developing the periphery. Today we pay for the price for not doing this ten years ago.” But many Israelis, like people everywhere, want to live in the major cities, not in the periphery. Most can no longer afford to do so. Journalists from business daily The Marker tried to find a “liveable” 4-room apartment within an hour’s drive (non-rush hour) from central Tel Aviv – almost periphery − for one million NIS (about $300,000). They failed. The best price they could find was 1.1 million NIS in Raanana, Rehovot, Petah Tikva, Ashkelon or Hadera. Ashkelon is 36 miles south of Tel Aviv; Hadera is 28 miles north. Keep in mind, too, Tel Aviv’s infamous rush-hour traffic jams that make commuting to work torture. “In just four years,” wrote Avi Bar-Eli in The Marker, “seven kilometers per hour (4.2 miles per hour) will be the average speed of car traffic from Tel Aviv’s southern outskirts into Tel Aviv.” Living in Tel Aviv is unaffordable, for most young couples; living outside it and commuting are unbearable. There is a solution. It is called “affordable housing,” defined as intervention in housing markets (rental and purchase) to enable low and middle-income families to live in neighborhoods they could not otherwise afford. This is done by keeping rent or mortgage payments at no more than, say, a quarter of monthly income for those who qualify and by requiring a proportion of housing units in each development to be “affordable.” It has big advantages, by making neighborhoods more diverse. But how is this done? For a start, through master plans. National Master Plan 35, spearheaded by Prof. Asif, was approved by the government in 2005. It authorizes planning boards to require developers to mix expensive apartments with affordable ones, as a condition for granting building permits. Results so far have been mixed. In Jerusalem there are plans to build 140 apartments in the Gilo neighborhood. Of these, 26 will be designated for younger couples and are priced at 20 percent below the others. This is part of an agreement in principle by City Council to give builders extra building rights if they agree to build some apartments that meet ‘affordable housing’ standards. And therein lies the problem. There are Master Plans, but there is still no affordable housing legislation requiring developers to provide more modest housing along with their expensive high-margin luxury flats. Apparently, until such laws are passed, towns and cities cannot enforce affordable housing programs. And affordable housing legislation seems distant, because of turf wars between Interior, Finance and Housing Ministries. Like most social problems, affordable housing is about money. Builders find it far more profitable to build five-room apartments for wealthy buyers than two-room flats for young couples. The average size of new privately-built apartments today is 182 square meters, compared with 140 square meters in 1990. This is a clear case of market failure. Market incentives are not meeting people’s needs for smaller affordable flats. Hence, it makes sense to require builders to build some smaller, cheaper places as a condition for their license. In tall buildings, affordable housing is often on the first and second floors, generally hard to sell anyway. I spoke with Dr. Emily Silverman, urban planning expert at Technion’s Community Planning Lab in the Faculty of Architecture and Town Planning, and an authority on affordable housing. Why doesn’t Israel benchmark other countries and learn from their affordable housing programs? I asked. She told me about successful affordable housing programs abroad. “A lot of other countries, including Britain, Ireland and Canada have a policy that says, from all new building, a certain percent must be affordable housing,” she said. “To achieve more social equity, the rule should be that affordable housing should be a percentage not of new building, but of the total existing housing units. In London, the rule is, 35 to 50 percent affordable, everywhere in the city. In Spain, in the Basque region, and in Catalonia, the proportion is 65 percent. In Boston and most areas of Massachusetts, it is 12.5 percent − if you’re a builder there and your development is zoned for 100 units, 12 of them have to be handed over at cost to national or city-based non-profit organizations. France is a leader in affordable housing, partly because there it is used to help deal with severe problems of slums and racial tension, following 2001 and 2006 race riots, that led France to realize they need to integrate neighborhoods all over the country.” She mentioned an experimental affordable housing program in Haifa’s Bat Galim neighborhood, which is rapidly becoming gentrified. I recalled Jerusalem’s Mishkenot Shaananim neighborhood, where gentrification forced low and middle-income families who had lived there for decades to leave. My wife and I live in a rather large flat in Ahuza, Haifa, where we raised our four kids. Ahuza is a mixed neighborhood of families with a wide range of incomes. I think this is ideal. I would hate to live in a neighborhood, or even a building, with only wealthy residents. In the end, affordable housing is a boon, too, for those who don’t need it. *Senior research associate, S. Neaman Institute, Technion. This article originally appeared in The Jerusalem Report, “Marketplace” column, December 21, 2010.